Refugee lawyers say the federal government’s plans for Indian officials to interview 157 asylum seekers when they arrive on the Australian mainland is unprecedented and potentially illegal under refugee law…. Sri Lanka’s Sudesh Peiris has won the Silver Medal for Men’s Weight Lifting in the 62kg category at the Commonwealth Games in Glasgow, giving Sri Lanka its first medal at the games this year…. New Delhi: Seven people, including a Wong Commander and a Squadron Leader, have died in an Indian Air Force helicopter crash near Lucknow in Uttar Pradesh…. UN officials probing human rights violations in Sri Lanka must be given visas to visit India, Tamil Nadu Chief Minister J. Jayalalithaa said. Jayalalithaa urged Indian Prime Minister Narendra Modi to ensure that visas were granted to the UN officials…. Algeria’s national airline, Air Algerie, says it has lost contact with one of its planes flying from Burkina Faso to Algiers across the Sahara. Contact was lost about 50 minutes after take-off from Ouagadougou, the airline said…. A TransAsia Airways turboprop plane crashed on its second attempt at landing during a thunderstorm on an island off Taiwan on Wednesday, killing 47 people and setting buildings on fire, officials said…. India gave Australia a bit of a breather by agreeing to investigate whether some of the 157 boat refugees confined to their boat on Christmas Island are Sri Lankan Tamil refugees from a camp in Puducherry…. The topic was ‘India under Modi: Relevance for the Region and the World’, organized by the Bandaranaike Centre for International Studies and held at the BMICH moderated by former foreign secretary HMGS Palihakkara. Introducing the panelists was Mr. Sunimal Fernando, Advisor to H.E. the President of Sri Lanka and Chairman/Board of Studies of the BCIS…. The Minister for Foreign Affairs and International Cooperation of Tanzania Mr. Bernard K. Membe called on President Mahinda Rajapaksa at Temple Trees yesterday (July 21) evening…. Australia will be raising the issue of the 153 Sri Lankan Tamil asylum seekers with India on Tuesday, when Australian immigration minister Scott Morrison will be meeting with external affairs minister Sushma Swaraj and home minister Rajnath Singh…. 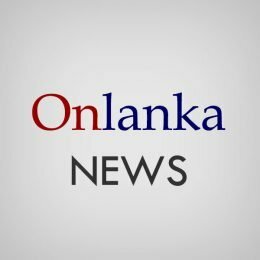 Thirty eight Indian fishermen found poaching in Sri Lankan waters had been arrested by the Sri Lankan Navy in the seas off Talaimannar and Delft Islands in two separate incidents last night, the Navy said…. Customs High Risk Unit at Gray Line 1, cargo terminal at Orugodawatta yesterday detected three plastic moulding machines containing about 100 kilos of heroin with a street value of Rs. 700 million….